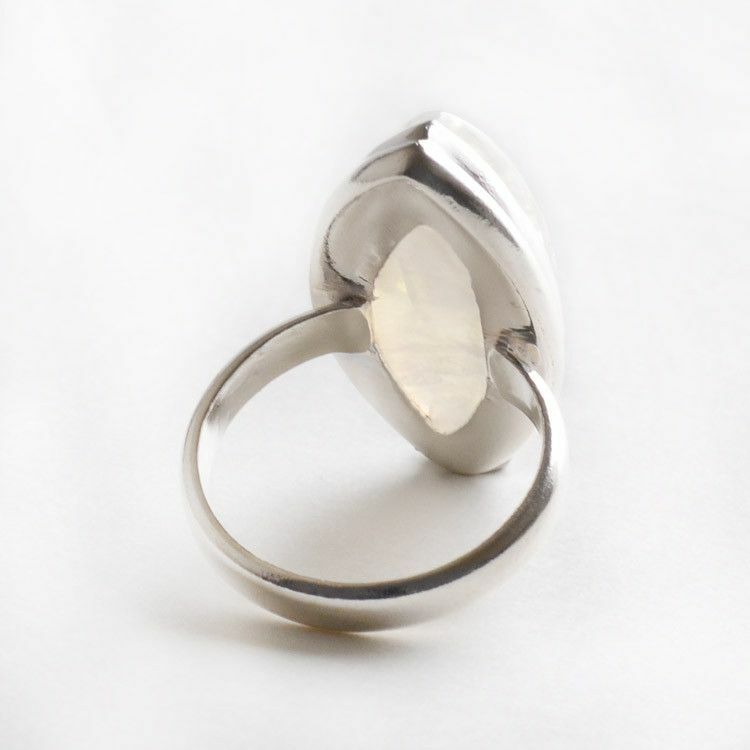 This semi-large ring features the mysterious moonstone that has been shaped into a pointed oval. It sits in sterling .925 silver which has been left simple and smooth. 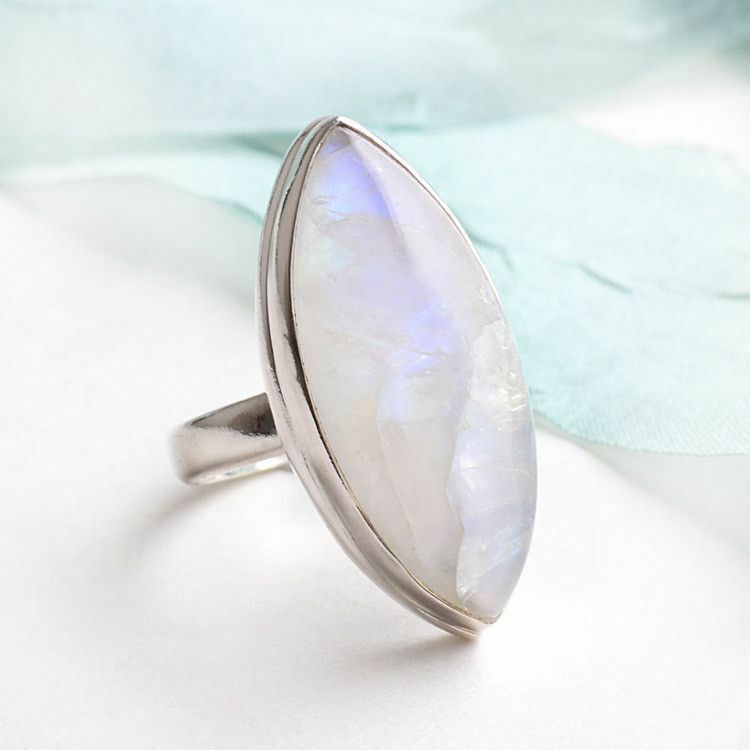 This ring is an iridescent delight, a must have to anyone's jewelry collection. 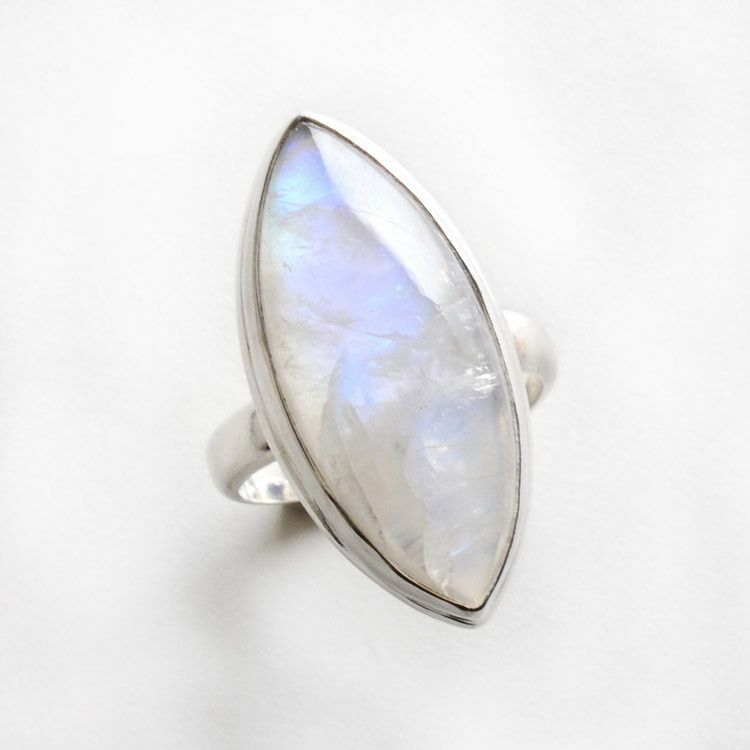 Moonstone is Approximately 1 1/8" x 1/2"